SCEE boss Reeves moving to developer Realtime Worlds? PlayStation's Chief of European and PAL territories, David Reeves, is set to retire at the end of April, with the games industry paying its respects to a man that has been at the forefront of driving the growth in console gaming over the last 15 years. But industry pundits are already asking: "what does this news mean for Sony and for the wider games industry?" "Reeves has been instrumental in building the PlayStation brand into the force it remains today," says computerandvideogames.com Editor Gavin Ogden. "And after seeing in three console launches across nearly one hundred PAL territories, you can understand his decision to call it a day. Incoming new president, Andrew House, will now be charged with pushing PS3 sales through the roof in an industry that continues to grow and defy trends seen in other areas of the entertainment business." 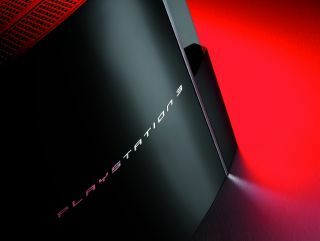 Over on PSM3 magazine, Editor Daniel Dawkins adds that, "David Reeves has presided over, through largely no fault of his own, a tumultuous period in Playstation history, and done a reasonable job of handling a series of tricky situations; from questions over PS3's pricing, to Sony's perceived lack of exclusives. "Given that he's not responsible for global policy, more managing its implementation, I don't think there's any need to knee-jerk react to his departure. The story is simply man leaves, another man replaces him. "Ken Kutaragi's 'retirement' was far more significant, as he was responsible for Playstation's overall direction and technical direction. Given his hands-on remit for software development, Phil Harrison's departure was also significant. For the average gamer, and to the Playstation brand, this means little". "The interesting thing here is not so much that David has retired, but who has replaced him," notes SPOnG.com Editor Tim Smith, arguing that Sony Computer Entertainment President Kaz Hirai is building a dream team of friends and allies to run the PlayStation division in a more centralised manner. "This appears to be a parachute in from Sony Corporation," says Smith. "From Kaz's comments it would appear that House is - if not an ally - at least somebody who has worked with him and who is comfortable to do so again." Smith reminds us that Andrew House joined Sony in 1990 and "in 1995, Mr House joined the marketing and communications division of Sony Computer Entertainment Inc… Kaz, of course, started at SCEA in... 1995." "So, this looks a lot like SCEE and its marketing is being drawn more closely under a centralised management. Not surprising seeing how important SCEE is to the PlayStation brand." Meanwhile, the rumour mill rumbles on over at VG247, with suggestions that David Reeves is to take up a senior position at Scottish developer Realtime Worlds, the Dundee outfit is currently working on MMO APB. "It's worth noting that Ian Hetherington, RTW's Chairman, was a Psygnosis co-founder."